Soft traditional Italian shaving soap scented with top notes of orange blossom, bergamot and coriander. A traditional Italian soft shaving soap with a woody and spicy scent (top notes: orange blossom, bergamot and coriander, with patchouli, amber, ceder, vetiver and sandalwood at the base). The consistency of the product sits between a cream and a soap, so it could be described as a hard cream or a soft soap. 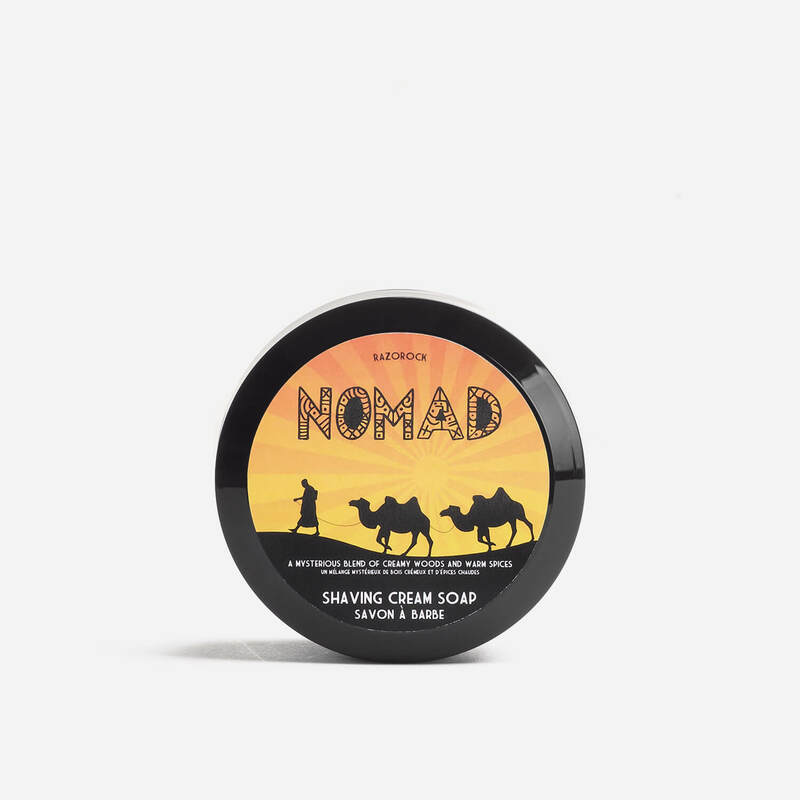 The Nomad Shaving Cream Soap uses RazoRock’s ‘Super Formula’ which is enriched with shea butter, argan oil, aloe vera and lanolin. Stearic Acid, Aqua (Water), Cocos Nucifera (Coconut) Oil, Potassium Hydroxide, Sodium Hydroxide, Hydrogenated Lanolin, Parfum (Fragrance), Argania Spinosa (Argan) Oil, Aloe Barbadensis Extract (Aloe), Hexyl Cinnamal, Linalool, Citronellol, Limonene.